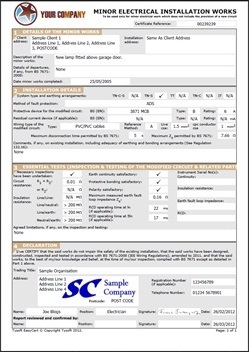 EasyCert is used to print BS 7671 BS 5839, and BS 5266 certificates onto plain or company headed paper. 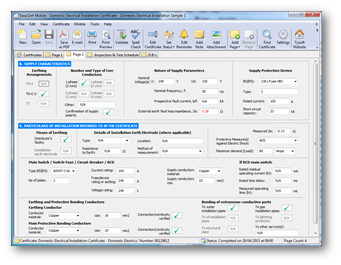 The EasyCert electrical software is very simple and easy to use and is the ideal choice for engineers producing electrical certification. 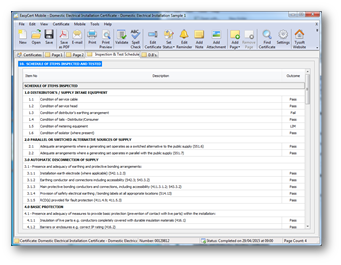 It takes the time and effort out of writing certificates by hand, and lets the EasyCert electrical software produce professional looking certificates with ease. 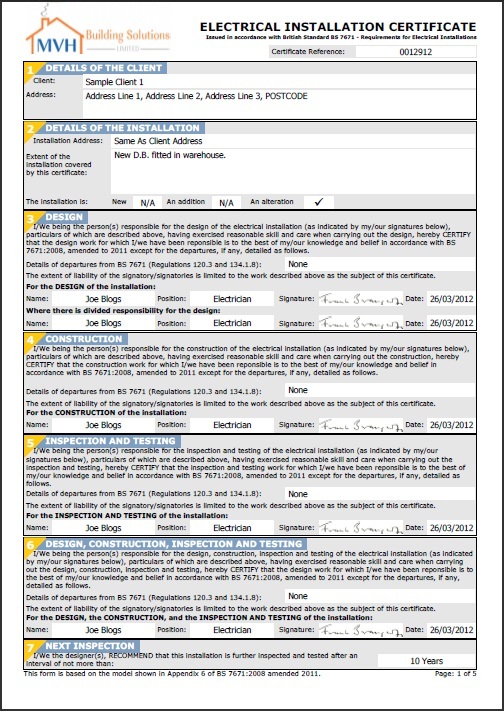 The complete range of electrical certificates, fire alarm certificates, and emergency lighting certificates can be used and printed along with your company logo, a registered organisation logo and even an electronic signature if required. 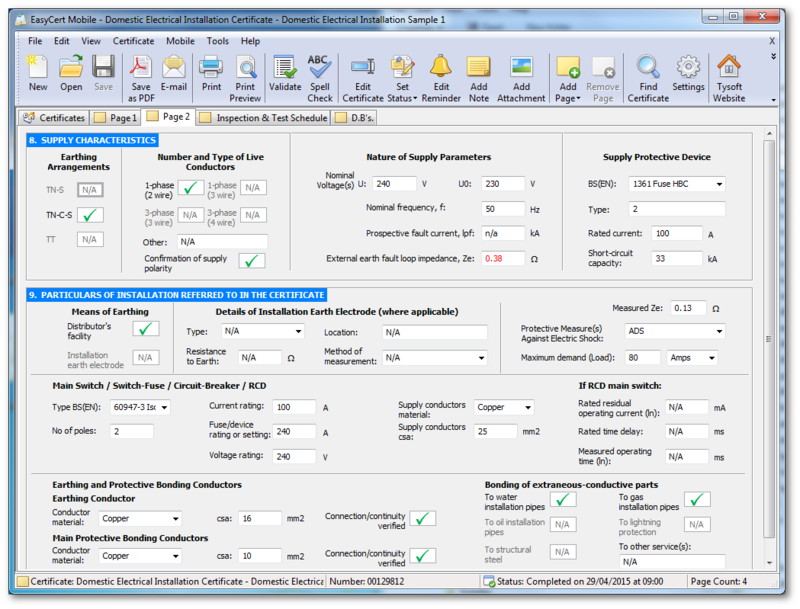 Simply select the required certificate from within EasyCert and enter all the required information page by page, and click print. For a complete list of all included certificates, click here. As can be seen from the screen shots below, EasyCert makes your certificates look very professional, with very little effort. 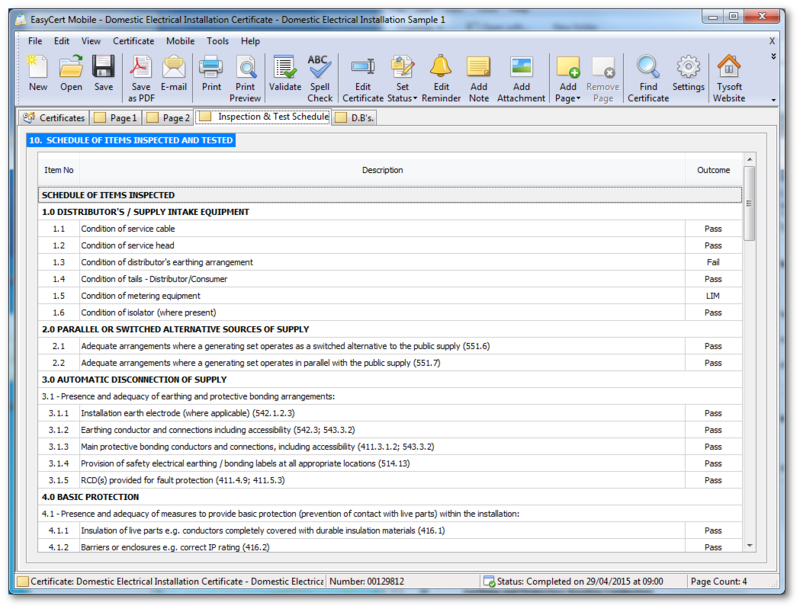 A company logo can be setup within the software that can be printed onto all certificates as can be seen in the preview picture below. Complete customisation options are provided for specifying the size and position of your logo, including the option to setup multiple logos if required. 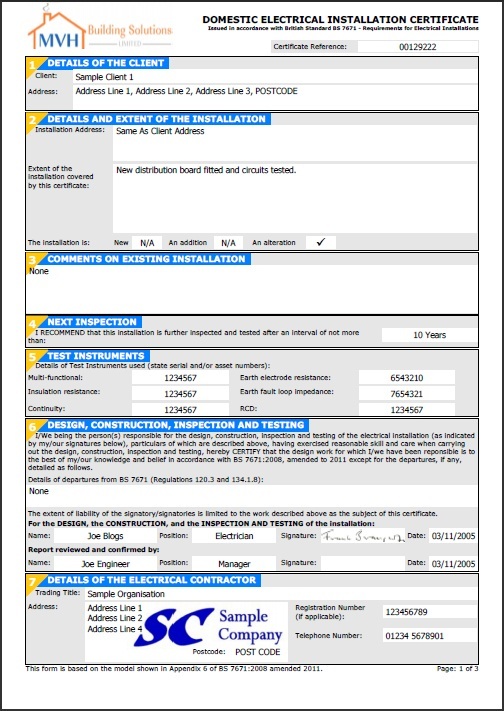 A registered organisation logo can also be setup within the software that gets printed within your electrical contractor details as seen in the preview picture below. Any registered organisation logo can be used such as the NICEIC logo, NAPIT logo, or Elecsa logo. 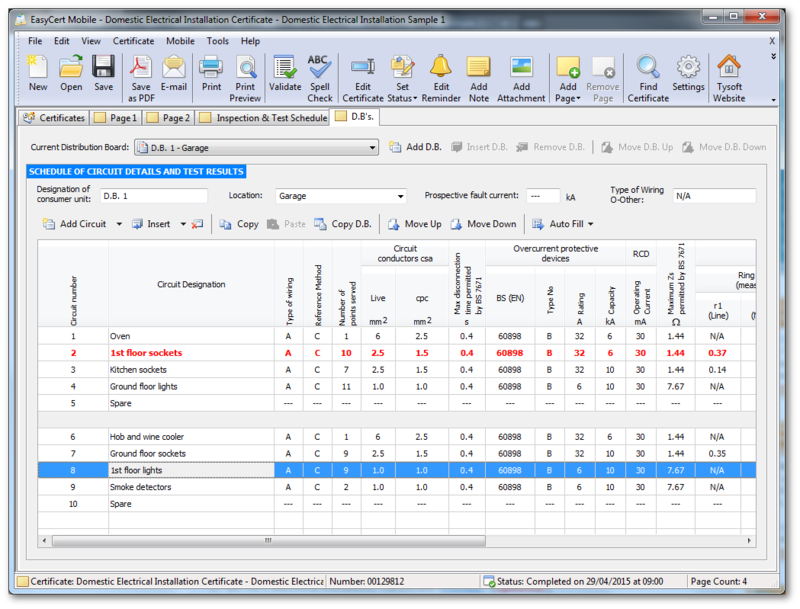 Full control over the size and position of the logo can be setup within the software, including the option to setup multiple logos if required. 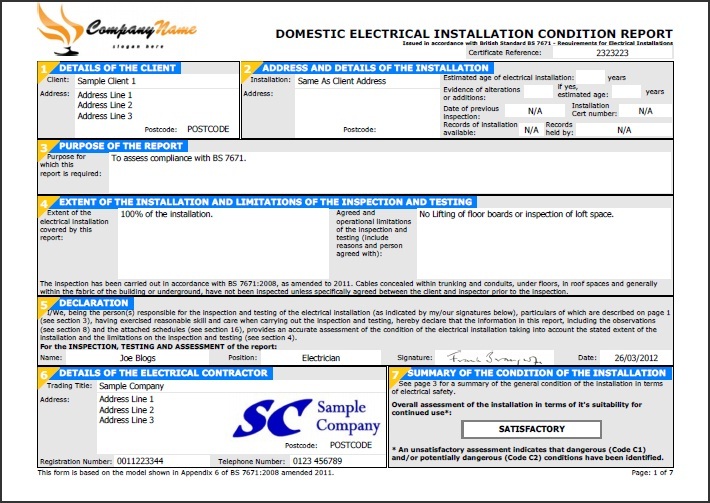 Scanned signatures can also be setup for each engineer that can be printed directly onto all certificates as shown in the preview picture below. 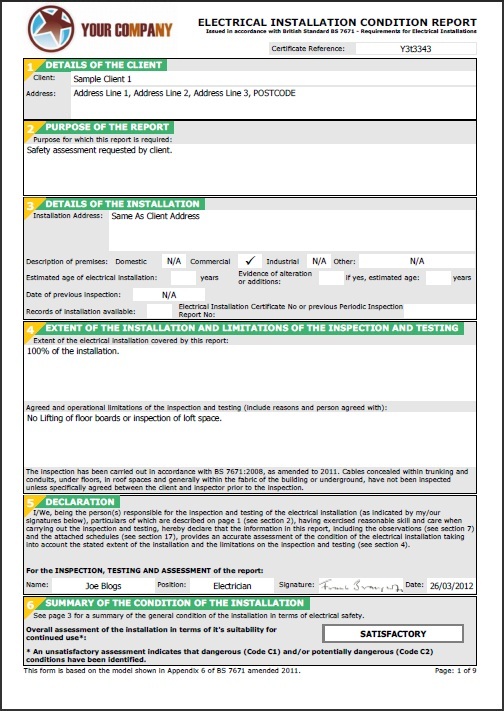 This then provides a complete electronic certificate which can be emailed direct to your client once completed. 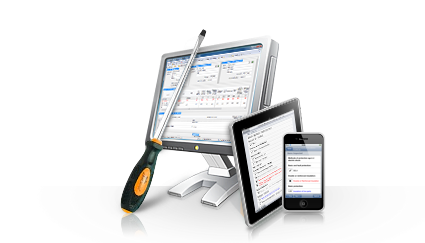 EasyCert Mobile works with the EasyCert desktop software to record and input all results direct onto your phone to be then imported into your desktop software. EasyCert Mobile saves time and effort by not having to write certificates by hand onsite. You only need to input the information once and you are set. 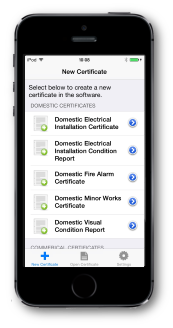 The powerful EasyCert Mobile wizards walk you through each part of the certificate allowing you to enter the information as you go. 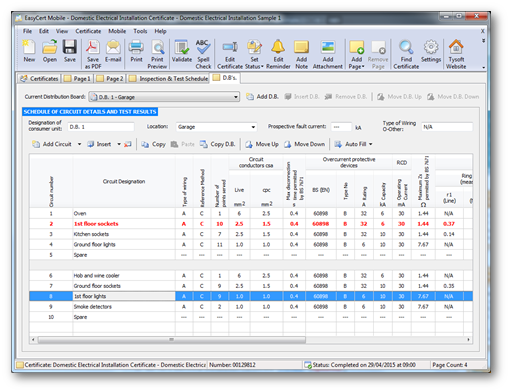 On completion of reports you simply upload certificates over your phones data connection, which can then be instantly downloaded direct into the EasyCert desktop software. There is no messing around connecting your phone to your computer as everything is wireless making it quick and easy. Click here for more information on EasyCert Mobile. 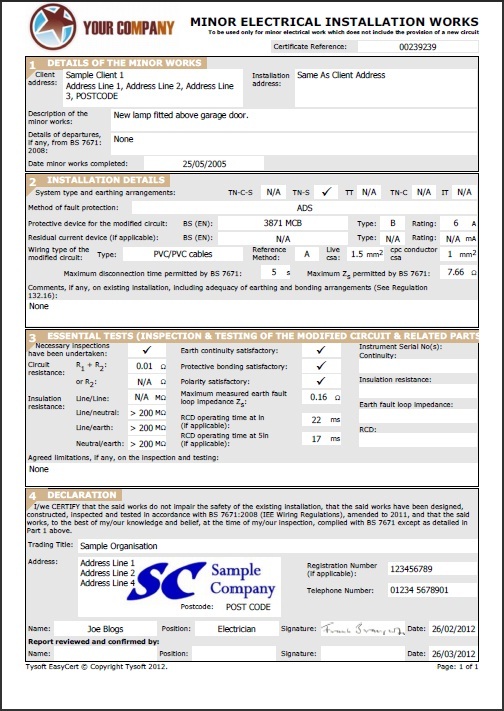 Some of the additional features also included within EasyCert are list below. Setup Certificate Templates Support for Android tablets! Click here to renew your Customer Care Package for a further 12 months. 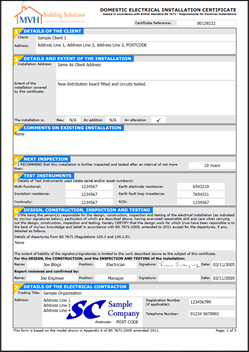 All electrical software now updated to BS7671:2018. Click here to download updates!